Stylish and exciting Oui is a new brand to Nicholls Online, celebrating luxury knitwear, fun prints and attention to detail. 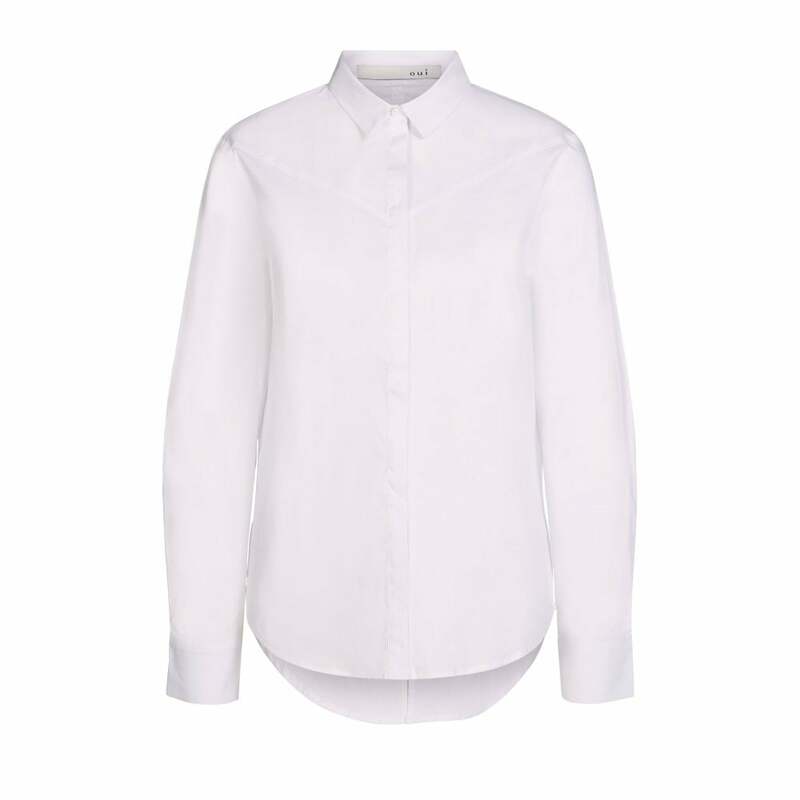 Every wardrobe needs a simple white shirt and this piece from Oui fits the bill perfectly. With an added chevron shoulder detail this looks perfect with slim jeans and your favourite pumps.